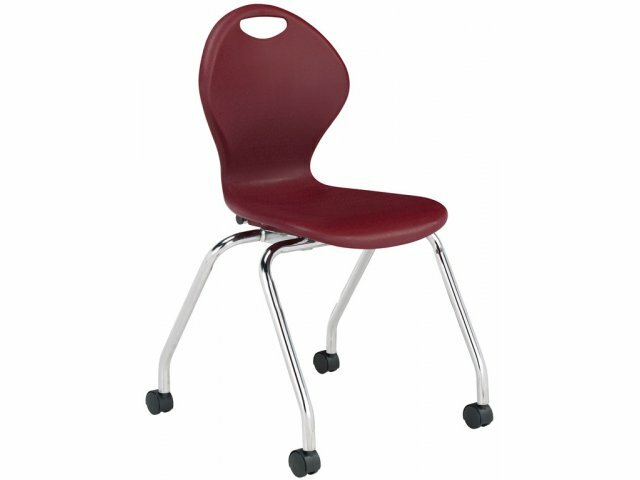 This popular teacher's chair combines style, ergonomics and a real value price. Rolls smoothly on four high-quality, twin-wheel casters. 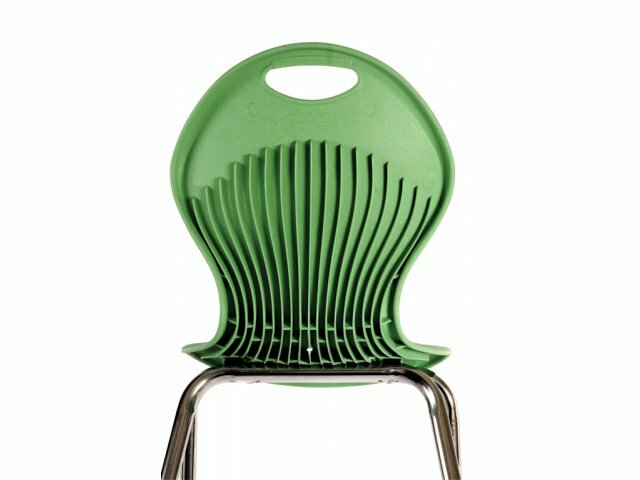 Looking for a school chair that will bring some inspiration to your space at a price you can afford? 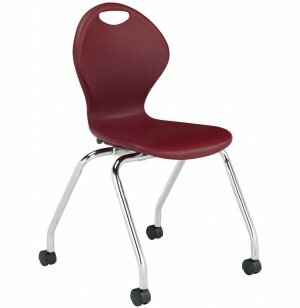 This value-line classroom chair is built with chrome legs of 16-gauge steel, standard self-leveling glides, and a sleek no-nonsense design that will suit almost any school budget with style. Make no mistake though - while this student chair is a great buy, the functional design still offers top-grade ergonomics and solid construction. 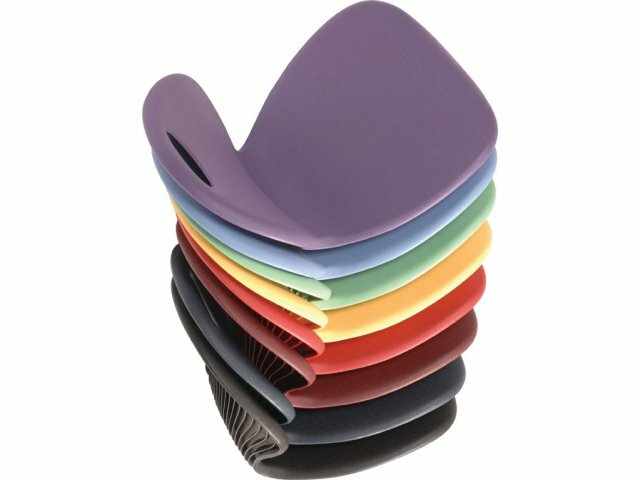 Available in all the popular Inspiration seat colors, these cutting-edge chairs will give a boost of style and color to any classroom. Smooth Mobility: Four twin-wheel, high-quality hooded casters provide smooth rolling movement. Great Value: Inspiration-line quality at a new, great price. 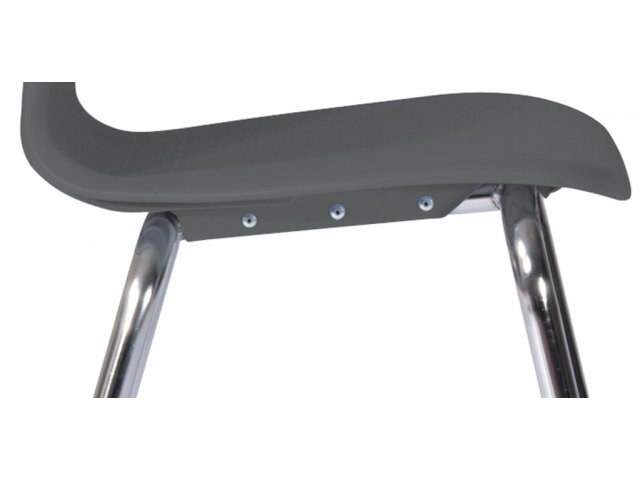 Ergonomic Support: Unique, ergonomic construction provides premium leg and back support. Superb Comfort: Seat shape and back with 17 ridges allow for maximum flexibility and comfort. Modern Aesthetics: The smooth, curved design and beautiful choice of colors will add an inspirational, creative look to any classroom.